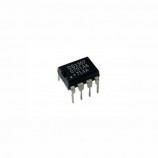 The DS3231 is a low-cost I2C RTC, with an integrated temperature-compensated crystal oscillator (TCXO) and crystal. 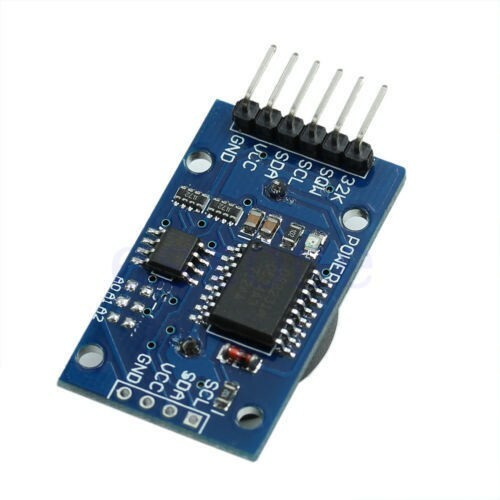 Compared to the DS1302 solution, the DS3231 has many advantages, it function with a VCC ranging from 2.3V to 5.5V and has a battery backup. Unlike the DS1307, the DS3231 also has an integrated crystal, temperature sensor, 2 programmable time-of-day alarms, and a 32.768 kHz output pin to ensure higher accuracy. 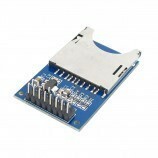 It is also consists of an EEPROM AT24C32 to supply you 32K EEPROM to store your data. Size: 38mm (length) * 22mm (W) * 14mm (height). 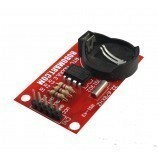 Operating voltage :3.3 - 5 .5 V.
Clock chip: high-precision clock chip DS3231. Clock Accuracy :0-40 ℃ range, the accuracy 2ppm, the error was about 1 minute. Calendar alarm clock with two. Real time clock generator seconds, minutes, hours, day, date, month and year timing and provide valid until the year 2100 leap year compensation. Chip temperature sensor comes with an accuracy of 3. Memory chips: AT24C32 (storage capacity 32K). 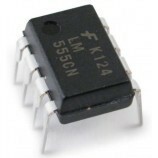 Can be cascaded with other IIC device, 24C32 addresses can be shorted A0/A1/A2 modify default address is 0x57. 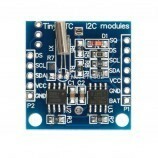 Also Searched as : ds3231 at24c32, ds3231 at24c32 iic, ds3231 at24c32 iic module, ds3231 at24c32 iic arduino, clock module arduino, arduino real time clock module.